Are Apples Better than Coffee? The saying “An apple a day keeps the doctor away” has been around for quite some time. But it seems as if society has evolved into having a cup of coffee each day instead, or more realistically around three. So what exactly are the pros and cons of having a cup of coffee a day as opposed to an apple? Your morning cup of coffee helps wake you up by bringing your body back to its normal levels of blood pressure, oxygen and carbon dioxide levels, temperature, brain activity and respiration. When your body is asleep your blood pressure falls, as well as your body temperature. There is about 100 milligrams of caffeine in an average cup of coffee, which speeds up your heart and breathing rates. This alertness stimulates the central nervous system and prepares you for the challenges of the day. Coffee itself has no calories, but one needs to be careful of the sugars and creamers they add. Coffee has always been a staple of life all over the world. Early East African tribes would mix coffee berries (the unhealed bean) with animal fat to create energy balls, similar to an energy bar. Not only does an apple a day keep the doctor away, they can also help improve breathing. 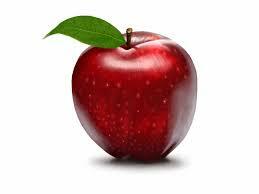 Apples contain a high amount of vitamins, phytonutrients, antioxidants and fiber, which keep the body going. A medium apple is about 90 calories, which is a great way to add substance to your breakfast or pre-workout meal. Apples contain no caffeine but instead have about 13 grams of natural sugar. These sugars provoke a similar response to caffeine because vitamins from the apple are released slowly throughout the body, making you feel more awake. Unlike caffeine, there are no jolts, mood swings, anxiety, jitters or the dreaded crash. Much of the increase in energy is due to the natural glucose in the fruit, which is digested and feeds the body’s cells. The feeling of being awake lasts about as long as it takes the body to metabolize the apple and the cycle of energy reflects that of a bell curve instead of a pyramid like caffeine. Coffee and apples each add their own benefits to the body. Each has their own experience when being consumed. Coffee has that warm feeling it brings to your hands when you hold the mug. It gives you that sudden burst of energy that you can count on every morning to get you going. Apples on the other hand have that crunch when you bite into them that is hard to be duplicated. The choice is up to you when putting together your daily routine. Apples provide a healthier alternative to the added sugars, syrups and creamers that many Americans add to their coffee. An apple may not replace the cup of coffee in the morning you have grown so fond of, but it offers a healthy alternative to switch things up, and may replace that second cup of coffee. Amanda Reichardt is a Dietetic Student/Volunteer with Cornell Cooperative Extension of Suffolk County’s Family Health and Wellness Program. Will try to exchange one or two cups and eat an apple instead. Nicely written article. I have been eating two apples every work day for years and rarely feel a desire for coffee. When I do have a coffee some of those times I regret it when the caffeine jitters kick in and a feeling of anxiety that goes with it. Apples on the other hand stave off hunger and give me a sense of well being. Great article… I am glad I found it.